Rubbing charcoal on paper on the street of Shanghai, Caitlin Reilly reveals patterns, textures and information about secrets below street level. 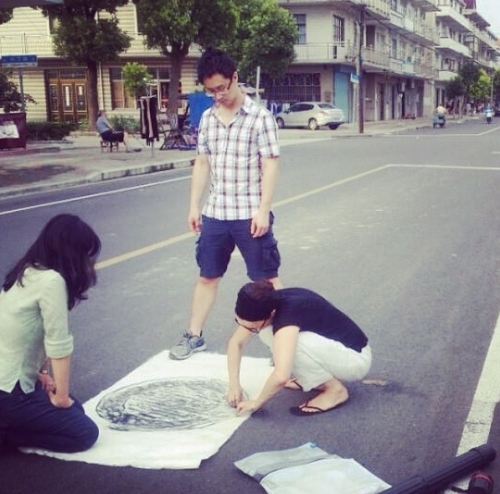 Crouched down on the streets of Shanghai, Xining, Hei Ma He, He Fei and Chongming Island, Caitlin Reilly placed beautiful handmade papaer from Guanxi Provence over manhole covers. Caitlin traces where she has been, mapping the places she loves and scratching the surface of a China that contuinues to captivate and hold her gaze with awe and inspiration.